The EquiDose® II diode detectors are a new generation of solid state detectors exhibiting superior characteristics. Radiation damage is extremely low, with detectors typically retaining better than 94% of their original response after 15,000 exposures of 2Gy, a total of 30,000Gy. Axial directional response variation is typically less than 1%, ±90° from perpendicular. A low temperature coefficient minimizes sensitivity variation due to patient heat transfer during treatment. Each photon EquiDose® II detector responds most effectively over one of three energy ranges. 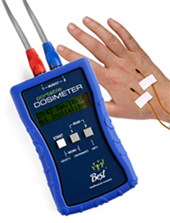 When used within its stated energy range, a calibrated detector will register a dose approximately equal to that expected at dmax. They operate in shorted junction mode and require no bias voltage. +/- 1.0% from -60° ~ 60° for 6 MV and 18 MV.As with any diode, ISORAD-3™ sensitivity will gradually change over time. This rate of change will depend on the energies used and the frequency of use. With normal use, plan on re-calibration once per year. Note that ISORAD-3™ life expectancy is not limited by radiation exposure; in fact, the more an ISORAD-3™ is used the less its response characteristics will change. Life expectancy is an issue of proper handling and care. 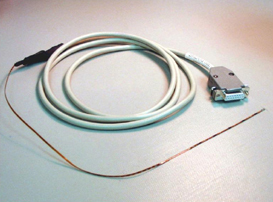 Broken coaxial connectors and cables are the most common cause of failure. 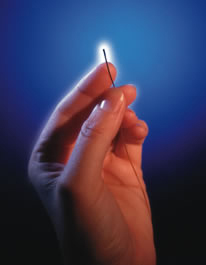 When handled properly, the ISORAD-3™ should be expected to last greater than 1,000,000cGy accumulated dose. 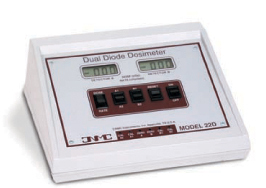 The CNMC Model 22D is a compact, economical, battery-operated dual-channel diode monitor designed for simplicity of operation without compromising accuracy and reliability. The user-friendliness of the Model 22D is immediately apparent by its sloping control panel that allows operation from a convenient angle. Collected exposure data from both channels is read simultaneously on two large, easy-to-read liquid crystal displays without switching. 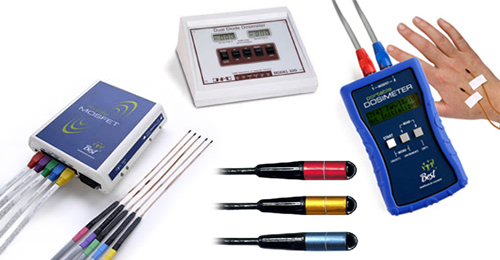 Two independent calibration potentiometers for each channel allow individual custom calibration settings for up to two sets of diode detectors or two beams. Operation of the 22D is simple. Only four switches are needed to select the calibration factors and dose-to-dose rate and to reset the display to zero. It is powered by a single, readily-obtainable, easily-accessible 9-volt battery. An input jack is provided for the UL-listed wall-mount transformer in case AC line operation is desired. A special inherent feature of the Model 22D is its compatibility with both negative and positive current output diode detectors: EquiDose® II, Isorad, QED or VeriDose. This flexibility allows utilization of all existing diode detectors and future standardization. When using with detectors that have a 2 or 3 meter cables, one extension cable of suitable length is needed per channel. Solid state diode detectors are available to satisfy a wide range of photon and electron energies. Representing the state-of-the-art in diode dosimetry, EquiDose® II detectors feature high impedance, excellent linearity and directional response, plus a low temperature coefficient. 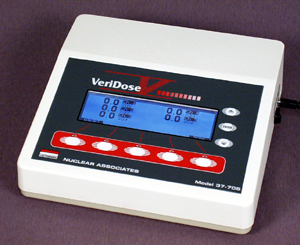 The VeriDose V is a five-channel patient dose verification monitor designed to meet present and future demands of the radiation oncology department. The VeriDose V may be used with continuous beams (Co-60), pulsed beams (linear accelerators), X-rays and electrons. The VeriDose V features an easy-to-learn and easy-to-operate Easy-Flow menu controlled with only five menu soft keys, two scroll keys and an enter key. All initialization, setup, and calibration information is maintained in non-volatile memory. A group database containing up to 25 diode groups, with up to 5 diodes per group, may be configured, labeled and calibrated by the operator for subsequent measurements. 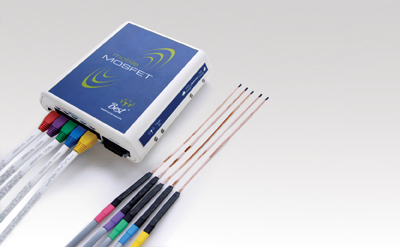 Calibration and treatment data can be transmitted to a printer or computer. When interfaced with an IBM-compatible printer, a user can print the date and time of the procedure, dose and dose rate, detector group with serial numbers, user-entered institution name and other important information. This data serves as documentation of patient progress, quality of treatment and as a permanent file for reimbursement and insurance purposes. A computer is not required to operate the VeriDose V. An RS-232 data link and MS Windows® Excel Add-in is available for storing measured data reports on an IBM-compatible computer. 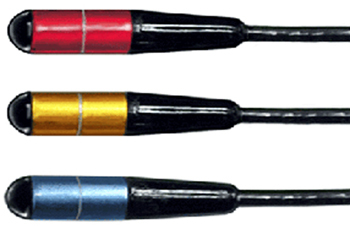 The VeriDose V is compatible with EquiDose II, VeriDose, Isorad and QED diode detectors. It reads detectors with negative or positive output polarity equally well. The Model 3500 TLD reader provides a cost-effective method for measurement of absorbed radiation dose by use of TLD chips, rods, microcubes or powders. 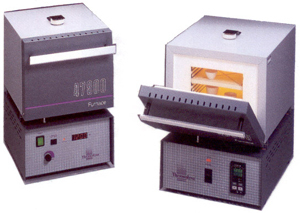 The instrument includes a sample change drawer for inserting and removing the TLD elements, a thermoelectrically cooled photomultiplier tube with associated data acquisition circuits for reading the light emitted by the TLD element and a linear, programmable element heating system. A separate computer with application software performs all other functions, including user interface, acquisition and storage and retrieval of TLD data. The computer may be any Pentium unit operating on any Windows®system. The 3500 is intended for use in medical physics and other laboratory applications where TLD chips, rods, cubes or powder are employed and required throughput is not high enough to justify an automated reader. Maximum functionality is achieved at minimum cost by including only the TLD related functions such as sample changer, heating system, thermally cooled photomultiplier tube assembly and supporting data acquisition system, light source, nitrogen connector, start/stop button and power on/off switch. A separate computer performs all other functions. This enables the user to minimize the initial investment in a TLD reader. 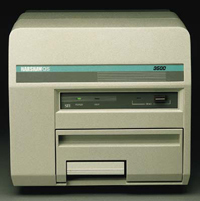 A user-provided IBM PC-compatible computer using a Windows®operating system provides main and setup menus, read calibration, dosimeter calibration, batch and dosimeter ID, high voltage adjustment, regions of interest, heating profile, glow curve generation and display, current integral and dose, date and time, background subtract and limits, maintenance menu, high and low dose setting and alarms, reference test light and dark current limits, reader QA procedures, provision for manual element ID entry, provision for manual comment entry, and file maintenance records. Choose from three different temperature controller models and two heating chamber dimensions to fit your exact needs. If a single temperature setting is all you need, than choose the Model TL-925 or TL-925-35 with a single setpoint automatic control. If programmability is desired, choose TL-925-80 or TL-925-835 allowing you to select up to four ramps and four dwells, while Models TL-955 and TL-955-35 allow you to select up to eight ramps and eight dwells, plus offering you an RS-232 communication link. All models offer fast heat with a minimum temperature gradient through the use of open coil heating elements on both sides of the chamber. Maximum heating efficiency is achieved through the use of thermal-efficient ceramic insulation surrounding the chamber. 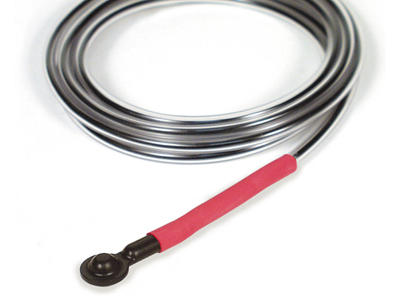 Preventing heat loss around the door has been achieved by using a free-floating ceramic fiber door, including a chamber plug that totally seals when the spring-loaded door is closed. A door safety interlock switch is provided to disconnect power to the heating elements whenever the door is opened to provide increased operator safety. Removal of undesirable contaminants and moisture is made easy by means of the built-in venting system. Injection of special atmospheres or the monitoring of chamber temperature with an independent measuring device is made easy by using the 3/9" diameter port located at the rear of the chamber. All controls are equipped with a dual fluorescent display of both the actual and the setpoint temperature values. The top display indicates the actual temperature measured by the thermocouple. The bottom display shows the setpoint temperature selected by the operator. Programmable temperature controls give the operator the ability to expand the capabilities of a single oven. The operator can program the rate of temperature rise or fall (RAMP), and the period that the temperature holds at a specific level (DWELL), both at different temperature levels. RAMP rate is programmable in degrees per minute and the DWELL periods in increments of 0.1 to 999.9 minutes. Controls also feature a "Holdback" function. If the oven is not able to heat or cool at the rate that has been programmed, the program will stop and wait for the temperature to catch up. All models come complete with an on/off switch, thermocouple and grounded three-wire cord and plug. 220V 50/60Hz models are available on special order. Lithium Fluoride finds use in medical physics dosimetry due to its effective atomic number of 8.2, negligible fading and usable range from a few mR to 500R. Standard response is ±30% per batch. Lithium Fluoride, High Sensitivity – High sensitivity manganese, copper and phosphorous doped LiF dosimeters exhibit the same desirable properties as TLD-100, but feature sensitivity 15 times greater. Standard response is ±15% per batch. 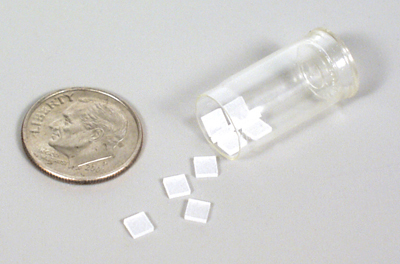 Calcium Fluoride – Dysprosium-activated calcium fluoride dosimeters exhibit sensitivity 30 times greater than lithium fluoride (TLD-100) and three times that of manganese-activated CaF. They are considered the best material for short-term environmental applications. The effective atomic number for photoelectric absorption is 16.3. Standard response is ±30% per batch. Aluminum Oxide dosimeters have sensitivity 50 times greater than TLD-100 and an effective atomic number for photoelectric absorption of 10.2. These properties make them well suited for personnel dosimetry applications that require detectability of low radiation levels, low long-term fading and more nearly tissue-equivalent performance than calcium-based materials. Standard response is ±30% per batch. Model TL-758, Vacuum Tweezer System consists of a double-insulated vacuum pump that delivers 355mmHg vacuum at 125 cubic inches per minute, a bypass pick-up probe, inline filter, and five interchangeable pickup tips. The vacuum pump operates on 110 Volts AC (220 Volts also available). TL dosimeter handling with a vacuum pick-up probe is fast, and will not mar, scratch or contaminate crystal surfaces. Model TW-108, Teflon Tipped Tweezers is specially designed for handling TL dosimeters. Made of stainless steel with smooth, wide, teflon-coated tips that will not mar, scratch or contaminate crystal surfaces. Easy Transfer Dosimeter Storage Containers provide a convenient means of transfer of TL dosimeters to an annealing planchet or irradiation phantom. Each row of spaces is numbered horizontally and vertically, identifying the dosimeter location. A cover with thumb screw fasteners provides spill-proof and dust-proof storage of TL dosimeters. To transfer TL dosimeters to the planchet or irradiation phantom, line up the numbers, fasten together with screws and turn over. To store dosimeters, the procedure is reversed. Irradiation Phantoms are available in polystyrene for insertion in a 25 x 25cm polystyrene stack. Plastic Water® and Solid Water® are available for insertion in a 30 x 30cm stack. Dosimeter space and numbering patterns are mirror images of corresponding storage containers for convenient transfer of dosimeters. Anodized Aluminum Annealing Planchets measure 10 x 12 x 0.63mm; compact enough to fit heating chambers of TL-925/955 Annealing Ovens. Model 159-000 has 50 machined spaces measuring 3.1 x 3.1 x 8.2mm to accommodate up to 50 rod dosimeters. Model 163-000 has 100 machined spaces, 5.4mm diameter, 4.5mm deep, to accommodate ribbon or disk dosimeters. The dosimeters lie flat and in good thermal contact, allowing rapid heat transfer. Dosimeter space and numbering patterns are mirror images of corresponding storage containers for convenient transfer of dosimeters. An acrylic cover with two thumb screws securely retains dosimeters in their location after cool down. The vacuum tweezers are especially recommended for placing dosimeters in the planchet. To clean the spaces, use cotton swabs, dry or with methanol. Model 163-002, Planchet Handle – Stainless steel handle inserts into a heating planchet to provide safe handling of hot planchets when being removed from the annealing oven. Model 164-000, Brass Cooling Plates – The cool down of annealing planchets is greatly accelerated when sandwiched between this set of two brass plates. Each plate measures 15.2 x 15.2 x 2.5cm, and weighs 11 lbs. This mass provides ample thermal storage capacity and the high thermal conductivity of brass provides fast heat transfer from the planchets. One plate has a large heavy-duty handle attached.